LONDON: Planning my birthday weekend! Hyper Japan Christmas Markets – I literally squealed with excitement to see that Hyper Japan has a Christmas Markets exhibition that is happening right over my birthday weekend of the 14th-16th Nov. I’ve been wanting to go for such a long time, but have never managed to get tickets. We have Saturday tickets which will include a day of Japanese food, culture, cosplay shows and most importantly – shopping! I can’t wait to stock up with Kawaii cuteness, fashion and Japanese cosmetics. Will be fab! ENO La Boheme – I’ve always loved going to the theatre, however I’ve never seen an Opera. As Vee went to university to study Drama and Theatre Studies, I’ve asked her to chose an Opera she thinks I’ll love for my birthday weekend. So, we are off to see La Boheme at the home of the English National Opera, the Colosseum. 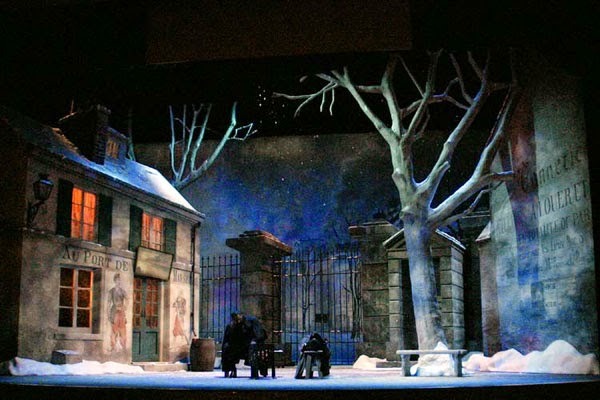 According to the website, “La bohème is one of the world’s most popular and captivating operas. With its heartrending story and featuring some of Puccini’s most ravishingly beautiful music, it never fails to move and enchant.” – I’ll let you know how it goes! Balans Soho – I can’t wait to return to one of my favourite restaurants in London, Balans. We went there when we first got together and had a weekend away in January and it was just amazing. I can’t wait to go back, the cocktails are just the best and the food is sensational. Set in the heart of Soho it’s the perfect location too. Christmas Shopping – Of course at this time of year the Christmas lights will be on, what better time to start the Christmas shopping. It’s a magical time to mooch around the city, warm mulled wine in hand, looking at the beautiful decorations that adorn every street. That’s our plans so far! What do you have planned this November?